Richy is the man you need for your fencing in Fairfield, using his unique style and custom builds he will be able to help give your home and garden the extra touch it deserves. Specializing in residential and commercial fencing, our styles of fencing cover all the necessary areas which include – colorbond fencing, fencing for your pool, security gates, timber fencing & picket fencing along with retaining walls and gates. Richy has also developed his own style of custom aluminium fencing and gates which also come in their own diverse range of slats, Louvre balustrades, picket, spear, with any type of privacy fencing you could think of. In Fairfield, fencing can provide many various purposes such as giving your home and garden a new unique style helping make it look good, while providing you with a sense of security and also privacy from the outside world. 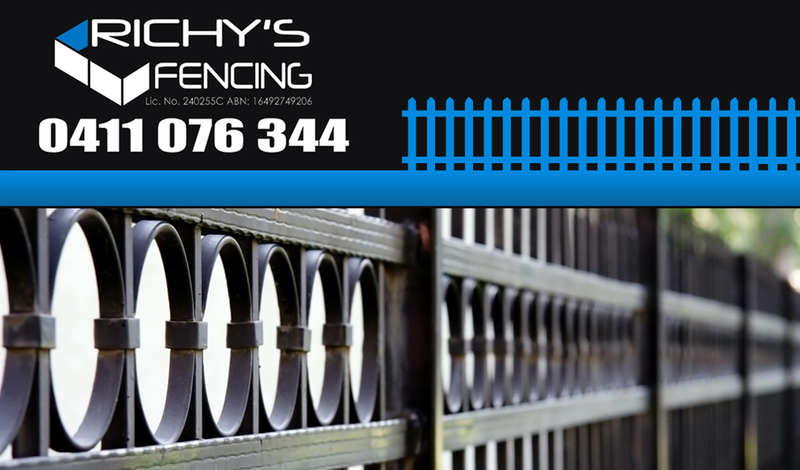 No jobs is too big or small for Richy and his team of fencing experts, with over ten years’ experience you know you have found those specialists that will be able to accommodate to any of you needs! All you have to do is inform them on the type of fencing you would like and what you need it for and Richy and his team will have it finished on time and always within budget! Richy’s Fairfield fencing has been built to last, just have a look this custom aluminium fencing which is currently one of the most popular choices between his customers. If you are after sturdiness and safeness why not have a look at this unique style of colorbond fencing. If you would like to view examples of Richy’s unique styles of fencing and work then please visit the Gallery and see for yourself how these great styles of fencing are beautifully constructed perfectly every time, not just offering the security and privacy you may need them for.